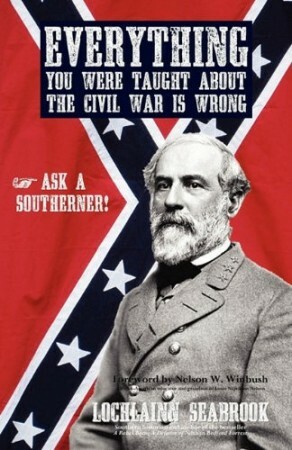 Everything You Were Taught About the Civil War is Wrong, Ask a Southerner! In this bestselling book, popular Southern historian and award-winning author Lochlainn Seabrook sets the record straight on these and hundreds of other commonly misunderstood topics in this easy-to-read, well documented handbook on the American “Civil War.” This is the book that every Civil War museum, house, gift shop, and Website has been waiting for, and every Civil War buff and student of history has been asking for! Includes over 1000 endnotes, a 700-book bibliography, and an index.